Fish and chips at Innes’ Boatshed in Batemans Bay. Photo: Boatshed Instagram. It’s a well-known fact that fish and chips taste better by the ocean, with a garnish of squawking seagulls and sea breeze. If you’re chasing that delicious ocean dream on the far south coast this summer and wondering where to find the freshest fish and crunchiest [or creamiest] chips from Batemans Bay in the north to Eden in the south, then read on. In Batemans Bay, Innes’ boathouse is an iconic site on the Clyde river, yet is right in town and gets extra points for the wildlife viewing from the back deck tables – flocks of pelicans and giant stingrays can often be seen begging for scraps from fishing boats. The boathouse has a good range of fresh fish and prawns, which can also be purchased from the shop. Berny’s at Batehaven is known to locals for its handmade chips and prime position across from Corrigans beach. The shop uses an old-fashioned ‘rumbler’ to skin it’s potatoes and then cuts them thickly for a product that’s far superior to frozen, so if you are all about the chips, Bernys will gladden your heart. Bonus points for also making their own prawn cutlets, honey prawns and garlic prawns. Take your haul across the street to the park or beach. 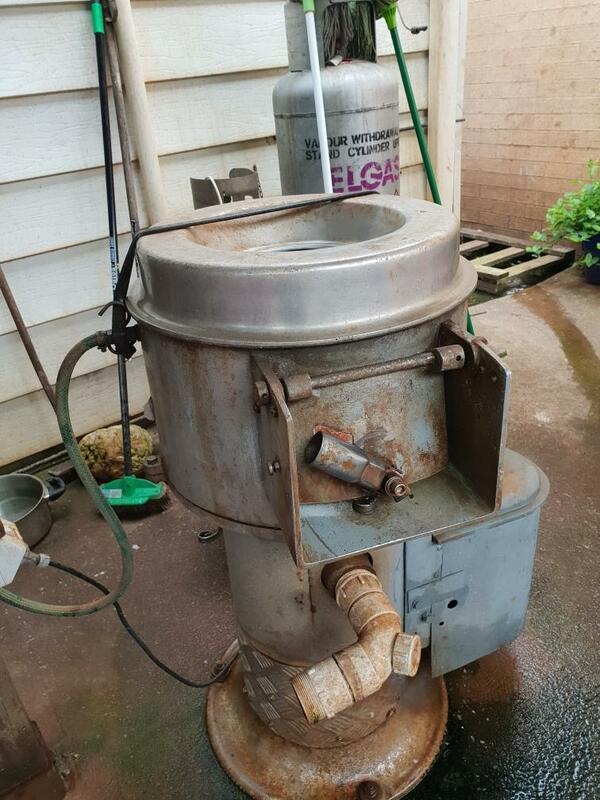 The ‘rumbler’ at Berny’s is the first stage of a process that ends up with homemade chips locals rave about. Photo: Supplied by Berny’s. Heading south, Kiah seafood in Moruya gets rave reviews for it’s grilled and pan-fried blue grenadier and for the fresh salads that compliment the crunchy fish and chips. Also in Moruya, Swan take away sometimes has fresh blackfish, a sought-after rockfish known for its sweet flesh – worth ordering if it’s available. Take your take away down to the Moruya river for the best atmosphere. Take the scenic route South to Bermagui and stop in at Blue Wave seafood, which is promisingly located on the bay and next to a seafood loading dock. Even on a grey, drizzly day the place was packed and the calamari rings were thick and tender, though I couldn’t figure out why everyone around me had lemon and I didn’t. Extra points for the ease with which you can follow salt with sweet – three shops down is the Bermagui Gelati Clinic. Continuing down the scenic coast drive, Tathra offers beachside takeaway fish and chips at Tathra Beach Tapas, with the option of upgrading to a restaurant table. You can’t beat striding out of the ocean and ordering through a little window, still in your dripping swimmers, and the hot chips are a nice combination of crunchy and creamy. 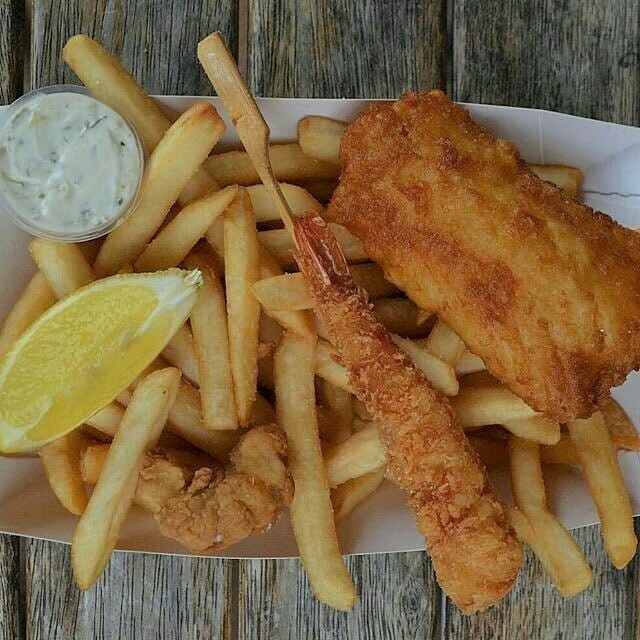 Between Merimbula and Pambula, Wheelers Oyster Farm has both a restaurant and a takeaway shop and uses mostly local Flathead and Ling for its fish and chips. Freshly opened oysters are available “lake to plate,” says staff member Nicki. Special credit for having crunchy gluten-free batter and a range of takeaway friendly cakes and pastries from the restaurant pastry chef. Freshly fried from Wheeler’s takeaway shop. Photo: Wheeler’s Instagram. 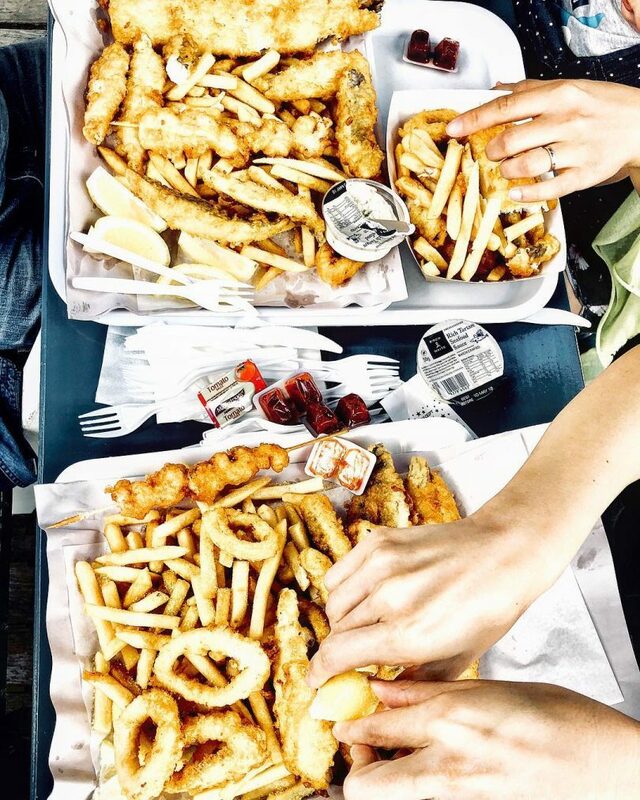 The southern port town of Eden is known for having fresh fish and as you would expect, Eden Fish and Chips often has local flathead and blue grenadier. They make their own potato cakes and specialise in Greek salad. Take your food and the kids to the park across the street or drive to nearby Aslings Beach. Wherever you are on the South Coast, follow the seagulls to the local fish and chip shop, ask what’s fresh and sandwich your meal with dips in the sea. Do you have any suggestions on where to buy Fish and Chips down the South Coast? I ate at Tigers at Ulladulla. Very pricy and the fish was a tiddler that should have been thrown back but the taste was good. What are prawn and oyster prices like on the South Coast? We recently went to Forster – the Batemans Bay of the mid North Coast – and were staggered to see prawns selling for $48.00 per kg and oysters for $24.00 a dozen. After we recovered from that shock we told the shop assistant that we can buy prawns and oysters for less than half that in Canberra, 250km inland. We also went out for dinner on the Sunday night and were told that we couldn’t have seafood dishes because the prawns and oysters had all run out! I hope tourist hospitality is a lot better at the South Coast. Off to En Zed in two weeks. Got to say, the Kiwis are all over us when it comes to seafood (with the possible exception of Tassie). I bought some frozen crumbed NZ Hoki at a local supermarket recently. The small print said “Caught in NZ and manufactured in China”. It is impossible these days to tell where the fish you eat a restaurant comes from. We’re pretty lucky. We’ll be accompanied by friends who are locals, and also seafood-lovers. Half of Canberra is visiting the Shoalhaven, yet you only mention the Sapphire Coast.